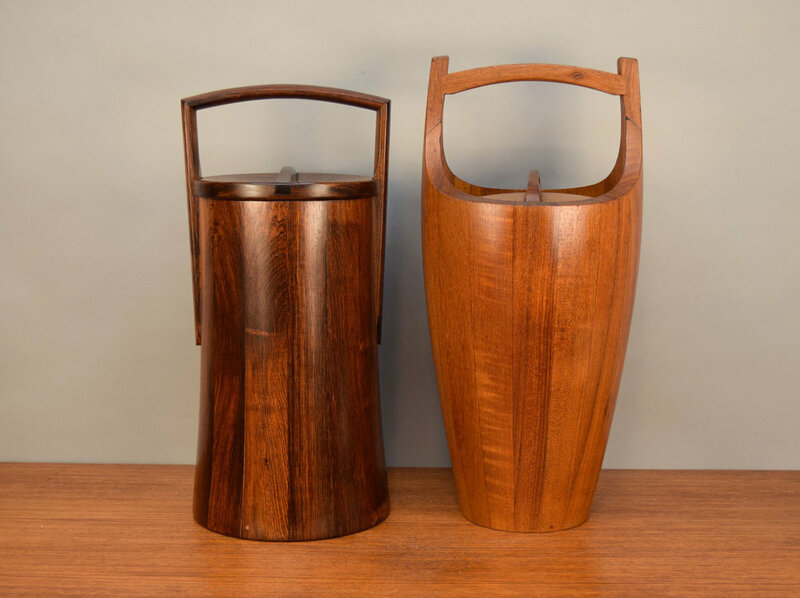 A very rare large palisander (rosewood) ice bucket designed by Jens Quistgaard in 1961 for Dansk's Rare Woods collection. These buckets are rarely seen and usually fetch thousands. This piece had a split stave repaired at one point (see photos) but is otherwise in excellent vintage condition. It is stunning in person.